This guide is about public service loan forgiveness, or PSLF for short. We speak to many individuals who aren’t familiar with the program, do not know how it works, and are confused about qualifications. This guide will help you understand PSLF and see if its right for you. I recommend reading the Ultimate Guide To Student Loan Forgiveness (COMING SOON!) before reading this guide. So When Does It Make Sense To Look Into PSLF? How Much Could I Potentially Save? How Do I Reduce The Risk Of Public Service Loan Forgiveness? Public service loan forgiveness offers student loan forgiveness if you work for a non-profit entity or have a government position. PSLF only applies to Federal student loans and those that are employed by a non-profit. PSLF is not a repayment plan! This is the most misunderstood portion of public service loan forgiveness. However, it is the most important for understanding and taking advantage of it. The actual repayment plan is an income-driven repayment plan. Thus, minimize the risk of PSLF by preparing as though it doesn’t exist. We discuss managing the risk of public service loan forgiveness later in this article. Public service loan forgiveness is a feature of income-driven repayment plans which we dive more into that next. If you are confused about income-driven repayment plans, read our Ultimate Guide To Student Loan Forgiveness before continuing. The public service loan forgiveness program was enacted in October of 2007 by President Bush. The purpose was to provide student loan relief to those working in the public sector. Public sector means working at a non-profit or a government entity. Under this program, your Direct Subsidized and Unsubsidized Stafford loans, Direct PLUS loans, and Direct Consolidation Loans can be forgiven. To be forgiven you must make 120 “qualifying” payments on your student loans. Submit proof of employment from an approved non-profit or government institution at the time you apply for forgiveness (a link to it is here). We highly recommend mailing one in periodically to track your eligibility and payment progress. This is especially true when you start working for a non-profit. This ensures you actually qualify for PSLF. Check out this article to see what happened to all those that ignored this basic advice. Fully employed means your employer’s definition of “full-time” employment. It is restricted to an annual average of 30 hours per week. Those working multiple part-time jobs who work at least an average annual of 30 hours per week also qualify. The 120 payments do not have to be made consecutively. Of course, it is in your best interests to finish them as soon as possible. Payments must be made under one of the Federal Income Driven Repayment Plans (“IDR”) programs to qualify. This is the most critical item and one of the big reasons people have gotten denied for loan forgiveness. Public service loan forgiveness is great for those attending expensive universities or graduate programs. Also, you'll want to work in a non-profit job as well. If your income is high relative to your Federal student loan amount, you do not qualify for PSLF. The income-driven repayment plans offers student loan forgiveness to anyone after 20 or 25 years. The amount forgiven on the general forgiveness plans becomes TAXABLE income that you must pay taxes on. However, under the PSLF the remaining balance of your debt is fully forgiven after 10 years. In addition, there are no tax repercussions with PSLF. The first step is determininjg which IDR program your loans are eligible for. Federal Perkins Loans are loans made by schools. Federal Family Education Loans (FFEL) are Federal loans issued prior to July 1, 2010. Direct Loans are loans made by the U.S. Dept. of Education. If your loans are ineligible for an IDR program, it may be possible to qualify by consolidating your loans into a Direct Consolidation Loan. Please refer to the table below for details. The type of IDR plan that will be most ideal for you will depend on the following factors: (i) the type of loans you have; (ii) when those loans were taken out; (iii) your marital/tax filing status; (iv) your state of residence; (v) your household family size; (vi) your adjusted gross income; and (vii) the amount of debt you have relative to your adjusted gross income. See how each of these factors influence your situation using the FitBUX Tool titled “Should I Pay Down My Loans Or Use IDR”. It is located on your FitBUX Profile under the My Tools section. Let’s consider an example. Assume you have $75,000 in Direct Grad Plus loans at 6.8% and $50,000 of Direct Unsubsidized loans at 5.8% from undergrad. You just landed a job with a non-profit and estimate that your adjusted gross income will be $75,000 (your AGI can be found on line 37 of your 1040 tax return). Assume that you are single and have a household size of 1. To perform these calculations, I will use the Federal Government’s assumptions, including income and inflation growth. Assuming that your loans qualify for Pay as You Earn (“PAYE”), your total payments will be $74,500 over the next 10 years. Assuming you remain employed at a non-profit and make 120 payments you would save $95,000 relative to the standard 10-year student loan plan. The table below provides a snapshot of the potential savings under a PAYE repayment plan and forgiveness under PSLF. As a rule of thumb, public service loan forgiveness is beneficial if your aggregate federal student loan balance is greater than your AGI. The more student loan debt you have or the lower your AGI the more you can expect to save by participating in PSLF. We have calls with FitBUX Members every day concerned about the viability of public service loan forgiveness. The reason being is the most recent PSLF update from the government was not good. Therefore, people believe the number one risk of PSLF is the government not honoring it after 10 years. However, there is a bigger risk that we see every day. People work at a non-profit for 2 – 4 years then quit. Instead of going to another non-profit job, they switch to a for profit company. Thus, they no longer qualify for public service loan forgiveness. However, they are still on an IDR plan. Thus, they either have to prepare for the tax liability or switch to a student loan pay down strategy. How Do I Reduce The Risk Of PSLF? 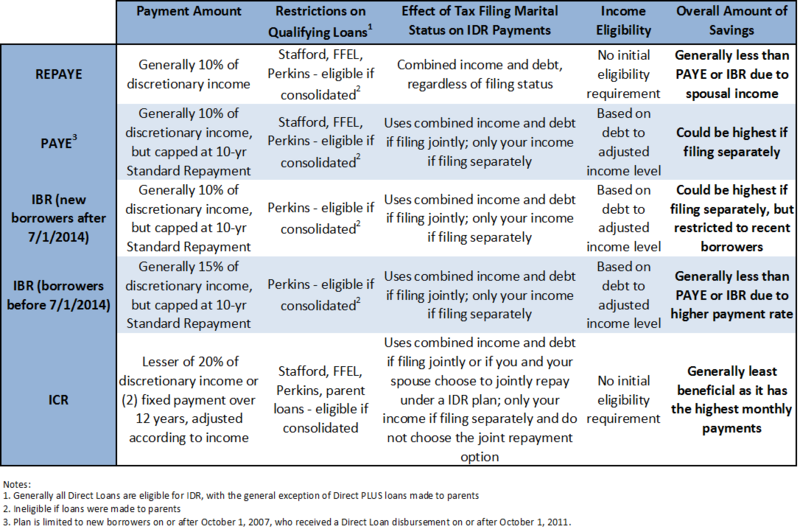 As I mentioned earlier, you have to be on an income-driven repayment plan to qualify for PSLF. Therefore, to reduce the risk you must assume you are not going to qualify for public service loan forgiveness. This means, start preparing for the tax liability of the IDR plans as though PSLF doesn’t exist. When you save for the tax then you put yourself in a good situation. For example, you get forgiveness after 10 years. Then you'll have no more debt and a good amount of money saved. If you stop working at the non-profit, you have money saved. Thus, you can decide to keep saving for the tax or switch to paying off your loans. If you decide to pay them off simply take the money you saved and throw it at your loans. I’m in, What do I do now? You get started by applying for an IDR plan through the Federal Government’s Student Loan Servicing website. Be ready to send them the necessary paperwork. If you recently graduated and are still in your student loan grace period, be sure to start looking into this as soon as possible. The sooner you start planning the sooner you being the path of public service loan forgiveness. You are a recent graduate and have a gross annual income of $75,000 at a non-profit. You have $100,000 in graduate debt at a 6.0% interest rate and you enroll in PAYE (Pay As You Earn). As you think about your monthly budget, consider what steps you can take to optimize your savings. Thankfully, the Federal Government doesn’t your $75,000 gross income to calculate your monthly payment for your student loans. Instead, your “discretionary income” serves as the basis for how much you will repay. Your discretionary income is calculated as your Adjusted Gross Income (the IRS defines AGI as “gross income minus adjustments to income”) less 150% of the poverty guideline income based on your household size. In simpler terms, the lower your AGI, the lower your monthly payments will be. Below is a list of items that will reduce your AGI. Contribute to a Health Savings Account (“HSA”). In 2016, the annual contribution limit is $3,350 for individuals and $6,750 for families. HSA contributions can be used for qualified medical expenses, such as co-pays, prescription costs, or deductibles. The great thing about HSAs is the unused balance can be rolled into the next year. Contribute to a 403(b) or a Traditional IRA. In 2016, the annual contribution limit is $18,000 for a 403(b) and $5,500 for Traditional IRAs for individuals under 50. There are multiple reasons why contributing to a 403(b) (i.e., the 401(k) equivalent for non-profits) is hugely beneficial. It will help to not only reduce your AGI, but also save for retirement. Furthermore, if your employer offers 403(b) matching contributions, you will reap the benefits of free money from your employer. If married, decide whether to file separately versus jointly on your taxes. Your marital tax filing status affects your reported AGI and can drastically affect your IDR amount. Consult with your tax advisor and compare your tax savings under both scenarios to see which makes sense for you. To see the impact of how lowering your AGI can help, let's assume that you are single and will contribute $10,000 to your 403(b) this year. Your AGI will be $65,000 ($75,000 - $10,000). Under PAYE, your initial monthly payment would be $393, saving you $717 per month relative to the $1,110 that would be owed under a 10-year standard loan repayment schedule (based on our assumed loan terms). You have to be employed by a qualifying organization and make 120 monthly payments to qualify for PSLF. However, these 120 payments do not have to be consecutive. If you need to reduce your employment hours for any reason (such as going part-time to take care of children), see if you can find another part-time job at a qualifying organization to hit the 30 hour per week minimum requirement necessary for PSLF qualification. If you are a contract employee working at a non-profit you DO NOT QUALIFY for public service loan forgiveness. You have to be employed by the non-profit. You do not want to refinance your Federal student loans! If you have private student loans then you'll want to check out our student loan refinance guide BUT ONLY FOR THOSE LOANS. It is important to make sure you know the nuances of public service loan forgiveness. They will help you maximize the benefits while reducing the risk. Have more questions about your money, be sure to check out the FitBUX blog page about money.